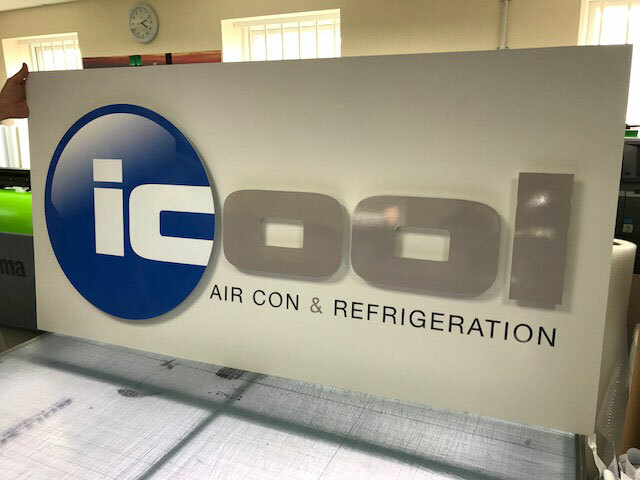 Yorkshire based air conditioning specialist iCool required an externally mounted sign for their new premises in Newport. UK Signmaker produced the sign made from Di-bond and Acrylic, the sign was approximately 2000mm x 850mm. We hope you find our new site informative and useful. Call us today on 01904 400 800 to find out how we can help with all of your signage requirements. Barkingham Palace – Customised Work Clothing!